Gov. 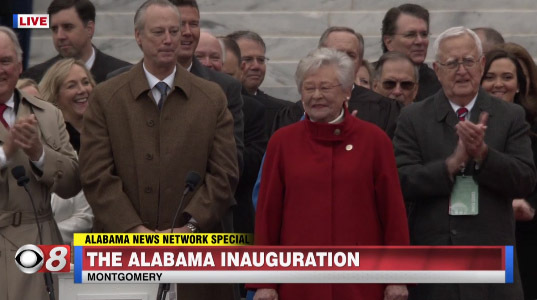 Kay Ivey has taken the Oath of Office for a full four-year term as governor of Alabama. Under overcast skies, she delivered a bright inaugural address for the future of the state. Ivey was joined on the stage in front of the Capitol by several former governors, including Robert Bentley, whom she succeeded after his resignation in April 2017. 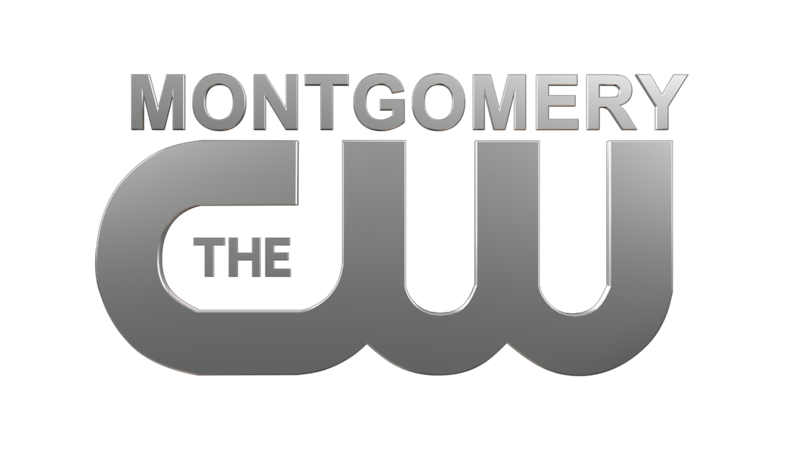 Former governors Riley, Siegelman and Folsom were also there, as well as former lieutenant governors Windom and McMillan. Ivey took note of Alabama’s first female governor, the late Lurleen Wallace, whom she called a childhood hero. Mrs. Wallace won the 1966 governor’s race and succeeded her husband, Gov. George Wallace, who was not allowed to serve consecutive four-year terms according to state law at the time. Mrs. Wallace served from 1967-68 before dying of cancer at the age of 41. Ivey had an empty chair put on the stage in Mrs. Wallace’s memory, with the Wallaces’ daughter Peggy Wallace Kennedy as her special guest. In her speech, Gov. 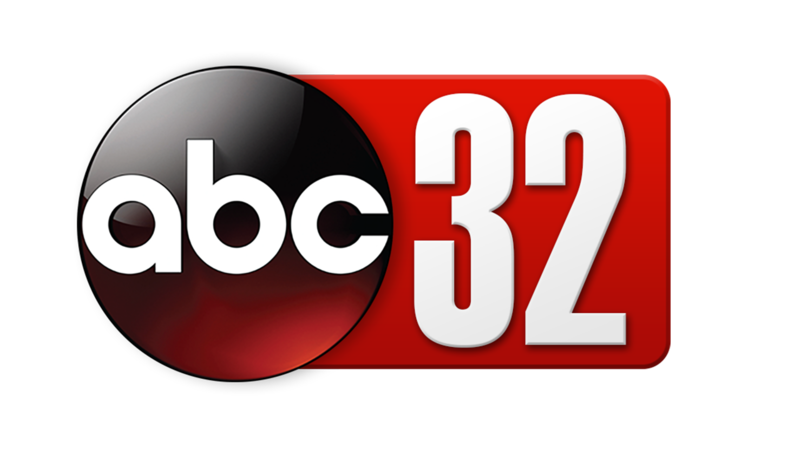 Ivey described much of Alabama’s recent success in the automotive and aircraft industries. She said it is critical that the state have an accurate census. She says that while most people are worried that we could lose a seat in the U.S. House of Representatives, she’s more concerned that the state won’t get its fair share of federal dollars if the census numbers are not accurate. “After all, if we want to compete in a 21st century global economy, we must improve our infrastructure by investing more in our roads, our bridges and our ports. Improving our infrastructure is more than an investment in our roads and bridges; it’s an investment in economic development, public safety and local communities. It has been nearly three decades since we last made any changes to our current funding, and the challenge has grown with the passing of time. Now is the time to increase our investment in infrastructure – now is the time to solve this problem,” she said. “The campaign season and elections are long since behind us. Today, all Alabamians – regardless of party affiliation – have the chance to stand together, united, to help build a brighter future and guarantee that our best days are still in front of us. And we need everyone to help. teachers, farmers, job creators, health care professionals, law enforcement and the media. The great composer Johann Sebastian Bach was once asked why he composed music. Without hesitation, he responded “for the glory of God and the good of mankind.” My hope is that when I leave this office, it can be said that this state is in better shape than when I began. I too serve “for the glory of God and the good of mankind,” she said. Besides Ivey, other Constitutional officers were sworn in, including newcomers Rick Pate as Commissioner of Agriculture and Industries and new Lt. Governor Will Ainsworth. John McMillan, who had been Agriculture Commissioner, was sworn in as the new State Treasurer.